The name Warner Sallman is not well-known to most of us. But some of this Chicago artist’s paintings are very familiar. One, called simply “Head of Christ,” is believed to be the most reproduced painting in history – more than any Picasso or Van Gogh or Michelangelo. Sallman was a commercial artist in the early 20th century, and a devout member of the Chicago-based Evangelical Covenant Church. 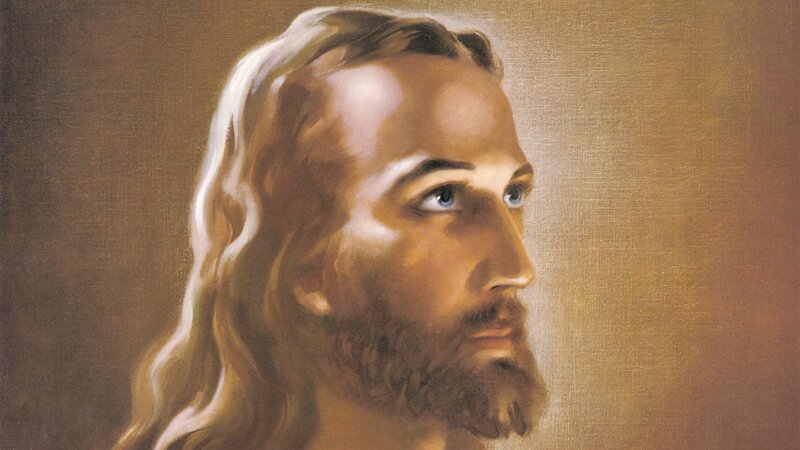 His first version of “Head of Christ” was a sketch on a church youth publication. But when he sold his 1940 oil to Christian publishers Kriebel and Bates, it took off, selling a million reproductions in the first year. In 2007, Newsweek reported the image had been reproduced over a billion times. “It seems like would see them almost on a daily basis growing up,” remembers Chicago photographer Paul Beaty, “in schools or churches or Boy Scout meetings.” So when Beaty walked into a Salvation Army Thrift store in February 2016, he knew right away that the two large framed pieces in front of him were both “Head of Christ” – one in oil and one in chalk. He bought each of them for $100. Sallman expert Leroy Carlson confirmed their authenticity and shocked Beaty with the appraisals: $100,000 for the oil and $35,000 for the chalk. Then came another surprise: Not only had these valuable works been sold in a Salvation Army Thrift Store, they had been on display in Salvation Army offices since 1965. Somehow, when they moved to new offices, someone didn’t know the value and placed them in the store for sale. Beaty, who describes himself as “a struggling freelance photographer,” is actively looking for a buyer. He says the money will certainly come in handy. Feb. 8: Looking for a handcrafted scale model of Wrigley Field? How about glittery portraits of politicians, TV personalities—or both? All can be found at a Bridgeport workspace that provides adult artists with supplies, guidance and opportunity. Jan. 31: Gertrude Abercrombie is a one-of-a-kind Chicago artist. Though she has been gone for 40 years, she is now getting a rare show at the Elmhurst Art Museum.